President Abdel Fattah al-Sisi issued decree No.224 of 2018, which contains approval on the loan agreement of al-Nafaa-Sharm al-Sheikh road within the “Sinai Peninsula development program”, valued at KWD 60 million. Egypt signed the agreement with the Kuwait Fund for Arab Economic Development on March 2018. President Sisi said in February that the development of the Sinai Peninsula, which started in 2014, will continue until 2022. He pointed out that the cost of developing the peninsula will reach LE 275 billion, which will require the solidarity of all Egyptians. 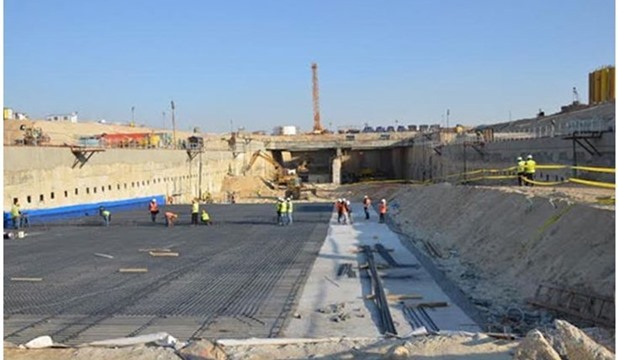 Government allocations for projects implemented in the current year in North Sinai have totaled LE 174.5 million, North Sinai governor Abdel Fattah Harhour said on Wednesday. A number of development projects in North Sinai have been launched in various sectors in several cities, in accordance to the development plan and schedule set out by the government, he added. The investment plan in the governorate is implemented in different sectors according to a timetable, at a cost of about LE 2.1 billion, he added. The current phase focuses on five main axes, including projects in the electricity sector, roads, improving the environment, strengthening local units, and strengthening security, traffic and fire departments’ services, beside other projects implemented through ministries in various sectors, Harhour said. Of the LE 174.5 million sum, LE 59.8 million is allocated for electricity projects, LE 42.7 million for roads, and LE 13.5 million to improve the environment. Moreover, LE 22.5 million will be spent on strengthening local units’ services, while LE 30 million will be allocated for security, traffic and fire departments, according to Harhour. Harhour added that an additional LE 90 million has also been allocated for the North Sinai development projects this year on top of the LE 174.5 million in order to establish a new wholesale market at the highest quality and workshops in the industrial area of Al-Arish, as well as other investments by different ministries in various fields.